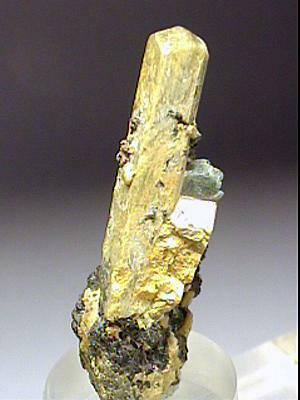 Comments: Fully terminated 4.3 cm crystal of marialite. Weakly fluorescent red under SW UV light. Location: Gooderham, Haliburton Co., Ontario, Canada. Scale: 6 x 1.5 cm.